Jewel Japan presents another cute cat design! Made in Japan available exclusively at Miya. Meow. If one looked up "Kawaii" in the dictionary, there might just be a simple picture of an Exotic Cat, the breed that is too cute for actual words. 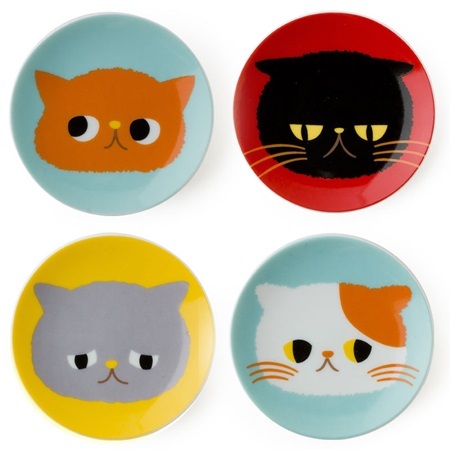 This mini plate set is perfect for holding tea bags or a sweet at tea time. Great for frilly guest soap or rings. Or just leave them out on your foyer table or vanity to declare to the world, "I'm so fun!"